So over the last week I’ve been on the hunt for cool, quick and easy from scratch recipes for kids dinners and snacks! Last Wednesday I did a piece on how easy it was to make my own chicken strips for the kids which you can read here A quick Wednesday recipe. Some sort of meat I used ham as that’s Connors favourite but salami, pepperoni, pastrami, sausage and bacon can work. 8 pack of white or wholegrain wraps. Any veg you’d like to add as a little twist! Make circle shapes out of the wraps. A little life hack that I use is draw with a knife round the bottom of a bowl to make an ideal size circle. Line the muffin tin tray with each circle pressing down to make a cup shape for the filling. Pre heat your over to gas mark 6. Whisk your eggs up and add your cheese I added 1 small cup for mine. Divide equally into you wrap cups and then cut up your ham and add also. Add a small amount of the veg you’ve chose and finish off with any egg left over just to top your cups up. Place in the oven for 15 minutes or until golden brown. 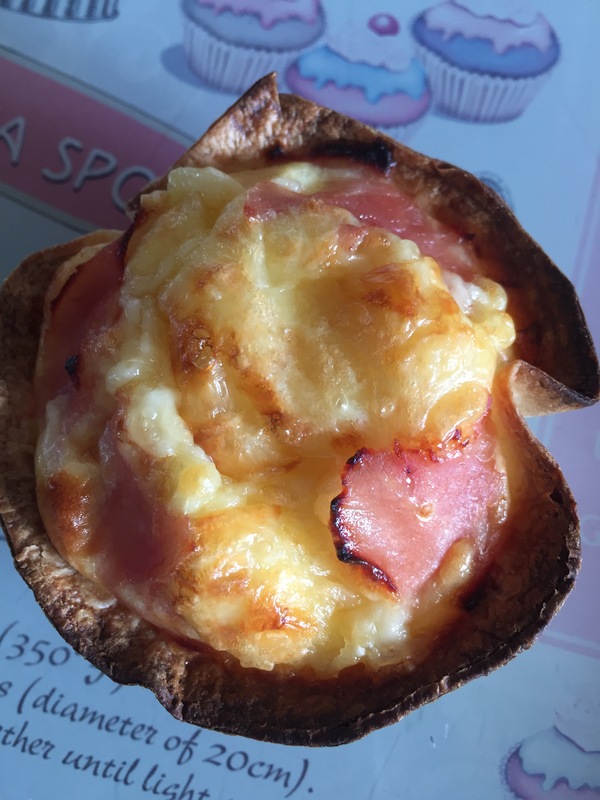 Take them out the muffin Tin and leave to cool, eat them as a little snack for you and the kids or make as part of a meal with some veg or rice! Perfect! Previous 6 essentials for Mallorca! Next A glass of summer! Yes lunchboxes for everyone! They’re ideal! 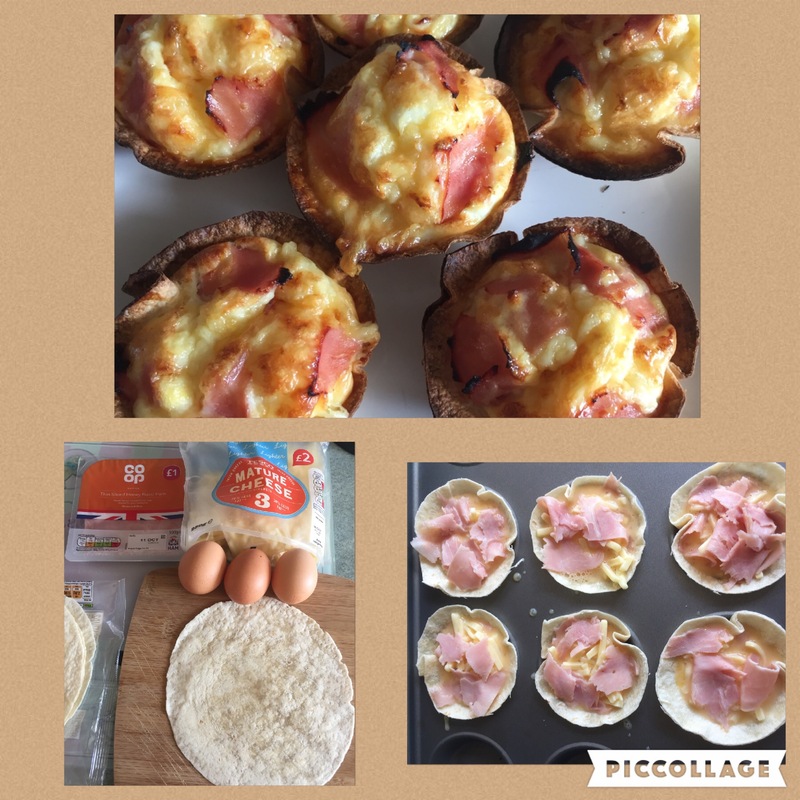 Oh they look really nice – I think they’re definitely a recipe my kids would love for breakfast!